DotNetGallery is an ASP.NET server control designed for easy displaying image galleries in the asp.net web applications. 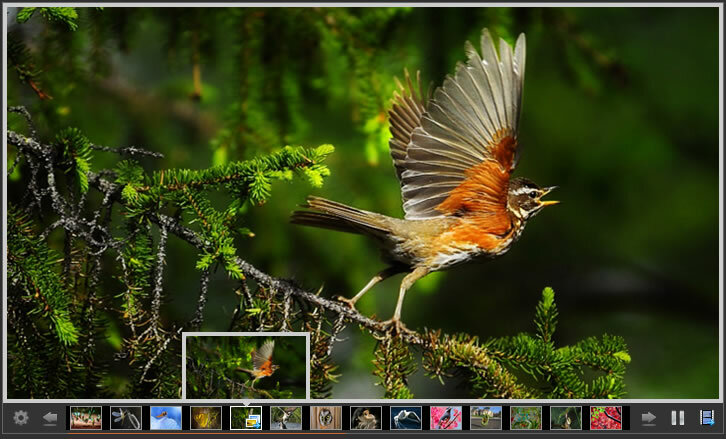 It is an easy to use, file-based, image gallery component / control. It is also a highly configurable application that automatically generates fast thumbnail indexes of a folder structure. This robust ASP.NET Image Gallery can be integrated seamlessly with your ASP.NET applications. You can use DotNetGallery to quickly develop great looking slide shows and image galleries. The Ajax Uploader in Image Gallery allows you select and upload multiple image files and cancel running file uploads, add new image files during uploading. It also supports client side validation of the file size/type before uploading. If you are looking for a powerful and professional web gallery solution, DotNetGallery is a perfect product for you. It contains most important features you need. We would be glad to help you to customize the Gallery to suit your specific needs. Save time and money with DotNetGallery. Why spend thousands of man-hours if we have done it for you? This site does not contain serial number, crack, keygen ASP.NET Image Gallery DotNetGallery serial number : serial number is the simplest type of crack. A serial number(cdkey,product key,etc) is register the program as you may already know. a crack or keygen may contain harmful software. If you cannot find the exact version you want, just give it a try. for more information read .nfo/.txt/.diz file include in zipped file.